Endometriosis is an often painful disorder in which tissue that normally lines the inside of your uterus — the endometrium — grows outside your uterus. Endometriosis most commonly involves your ovaries, bowel or the tissue lining your pelvis. Rarely, endometrial tissue may spread beyond your pelvic region. Pain with bowel movements or urination. You`re most likely to experience these symptoms during your period. In allopathy medicine like Danazol, birth control pills or the gonadotropin releasing hormone agonists (GnRH agonists) prescribe just to control endometriosis. But they have many side effects like: acne, lower voice, beard growth, vaginal dryness, bleeding between periods, mood swings, liver malfunction, weight gain, hot flashes, loss of calcium from the bones, and mood swings. There Drug treatment does not cure your endometriosis, when you stop them, the disease usually returns. The ultimate option is removal of uterus and ovaries. And its not wise to remove ovaries in reproductive age because of its hormonal function. You can avoid surgery by homoeopathic medicine. 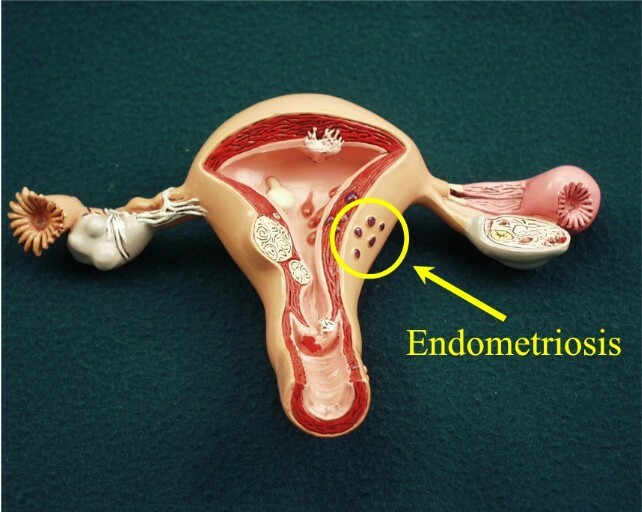 Drugs used in endometriosis are geared towards suppressing the activity of the ovaries and therefore slow down the growth of the endometrial tissue. Homeopathy has its time-tested usefulness. Remedies used two hundred years ago are still used with the same efficacy as then for the same diseases. Homeopathy is practiced all over the world. In fact it is the second most widespread form of medicine practiced in the whole world. There is no drugging effect, and there are no side effects from homeopathic remedies. Homoeopathic medicine is strongly recommended for endometriosis.